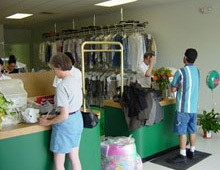 If you are looking for information on the Lapels franchise business opportunity, Lapels Dry Cleaning franchises or Lapels Drycleaning franchising, then you have come to the right place. The Lapels franchise program was founded by two highly successful businessmen with over 30 years of combined experience in the dry cleaning industry as well as the small business community. They have created a concept that for the first time allows anyone, with good customer service and managerial skills, to participate in this highly successful and proven industry. 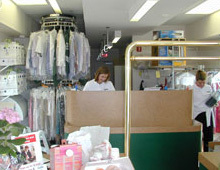 The dry cleaning industry is a Ten billion dollar industry and growing. Today, there are more two-career families than ever before and as a result there is a greater need for professional dry cleaning services. With less time and greater disposable income, working men and women are paying more for garment care to preserve their wardrobes and make them look their best. The Lapels corporate team has developed a concept that, for the first time, allows anyone to be part of this very successful industry by taking the processing out of your hands and leaving it to the people that specialize in this field. This allows you to spend your valuable time managing your business while taking care of your customers.